Rolls-Royce states it has taken a significant step in the development of a hybrid-electric propulsion system, based on its M250 gas turbine engine, following recent, successful ground tests in Indianapolis. 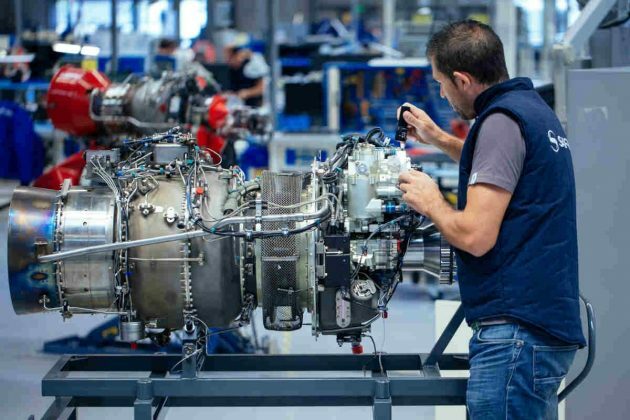 Nearly 33,000 variants of the M250 engine – typically used to power helicopters, but powering a range of aircraft – have been delivered to customers. The company explains its recent M250 hybrid tests are expected to result in experimental flights on aircraft beginning in 2021. This could include a range of platforms with the potential to integrate distributed electric propulsion, including vertical take-off and landing vehicles, general aviation aircraft and hybrid helicopters. Rolls-Royce’s tests on the M250 hybrid engine included a ground demonstration setting in three operating modes, defined as: Series Hybrid, Parallel Hybrid and Turbo-Electric. The M250 hybrid, which has been developed by engineers in the U.S., UK and Singapore, is to be used as a propulsion plant with power ranging from 500kW to 1MW. The company states this holds the potential to transform power generation in aviation. The M250 gas turbine engine has powered more than 170 varieties of fixed-wing military, civilian aircraft and helicopters since its initial development. Rolls-Royce states it selected this engine for the hybrid-electric-propulsion project because of its maturity, power-density, ease of maintenance, and high reliability. In the past half-century, M250 variants have logged more than 250 million flight hours and, again, nearly 33,000 M250 engines have been delivered. Complete engine testing took place at the company’s facility in Indianapolis, which involved testing each component and sub-system of the hybrid engine for electrical performance. Rolls-Royce explains these tests included simulating use across take-off, cruise, landing and taxiing. As a result the company project current powerplant suitability for a range of transport platforms, including aircraft with a range of up to 1,000 miles and weighing up to 2,000kg. This would support the Rolls-Royce hybrid-electric VTOL concept, referred to as the Rolls-Royce hybrid electric propulsion system demonstrator, which the company unveiled during the Farnborough Air Show last year. “Electrification is one of the most-exciting developments in aviation since the birth of the jumbo jet,” said Mekhiche. “We are determined to use our pedigree in aerospace to be at the forefront of developing innovative propulsion systems to meet the needs of the next chapter in aviation. The Rolls-Royce hybrid demonstrator integrates a M250 gas turbine engine with what the company lists as a high-energy density battery system, electric generators, power converters and an advanced power management and control system. The power management system, explains Rolls-Royce is key to optimize overall propulsion performance, which in turn allows the hybrid-engine system, to be used on a variety of aircraft platforms. The M250 hybrid power pack, explains Rolls-Royce, complements the AE 2100 2.5MW system being developed for larger aircraft, including regional aviation, and is being tested with Airbus on the E-Fan X demonstrator platform.